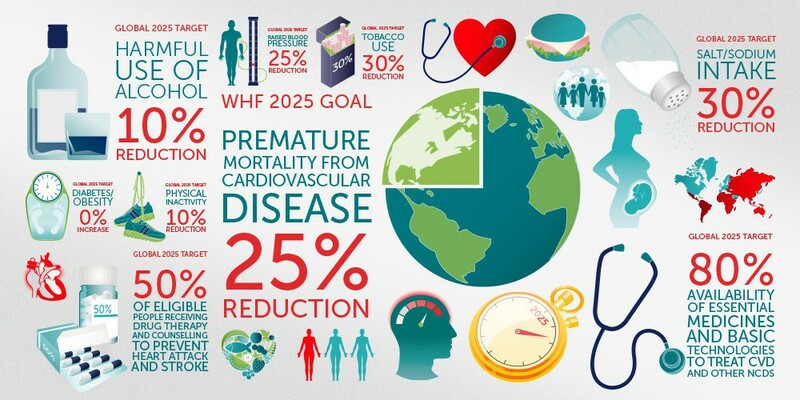 The aim of the Champion Advocates Programme is to reduce premature deaths caused by cardiovascular disease by 25% by 2025. 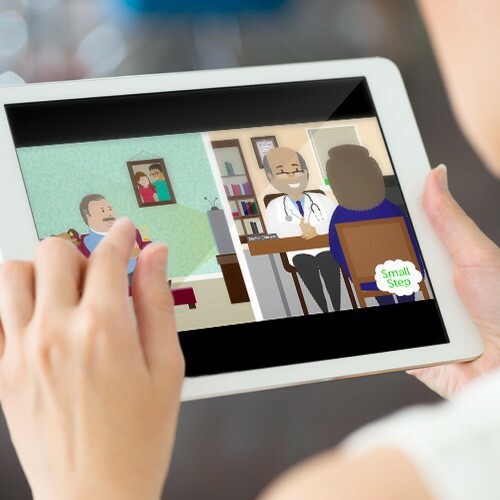 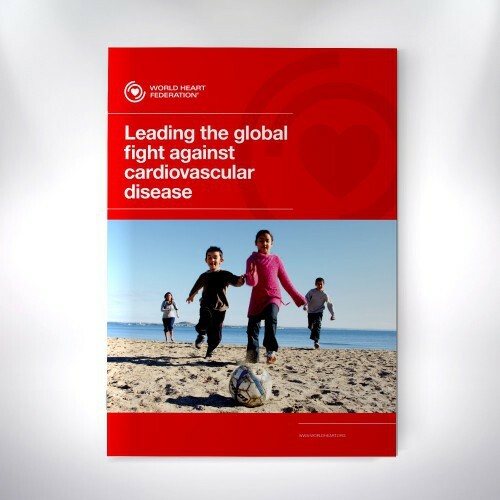 The project involves engaging with cardiologists and healthcare professionals on a global scale to become advocates of the best-in-class secondary prevention treatment of heart attacks and stroke. 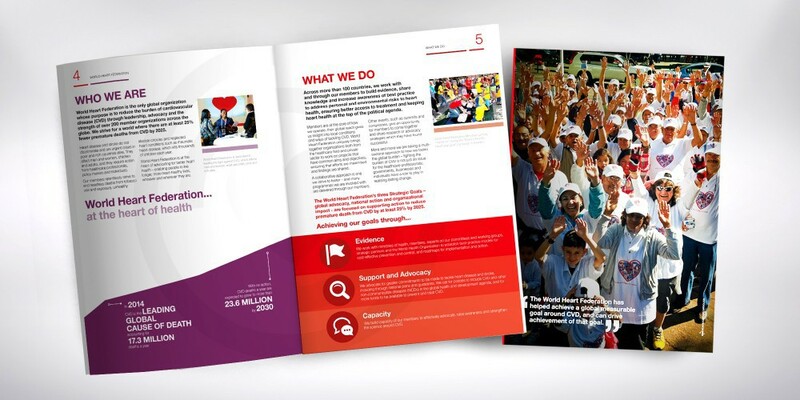 Optima created the 25x25 Champion Advocates brand to communicate the WHF targets to the global audience. 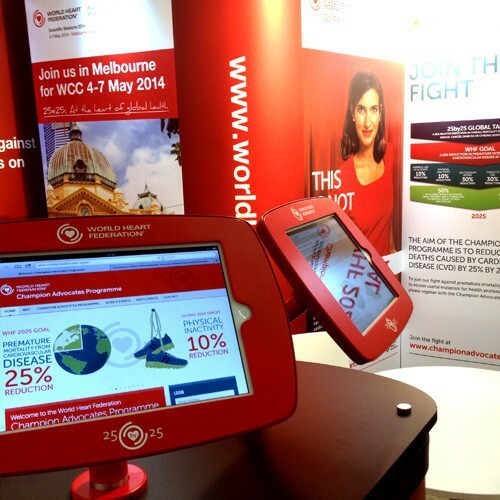 Campaign infographics highlight important statistics and targets. 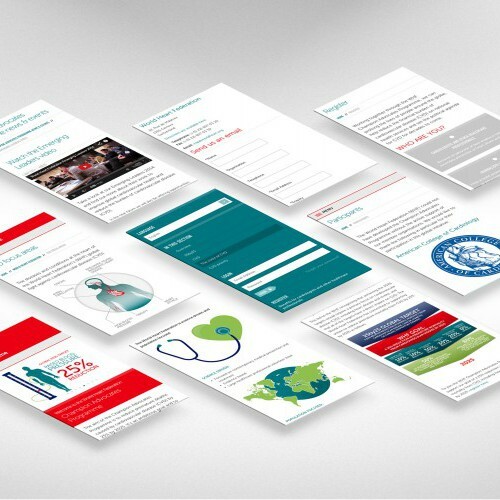 We created a responsive website which acts as the hub for the campaign and is centrally managed across 7 different languages. 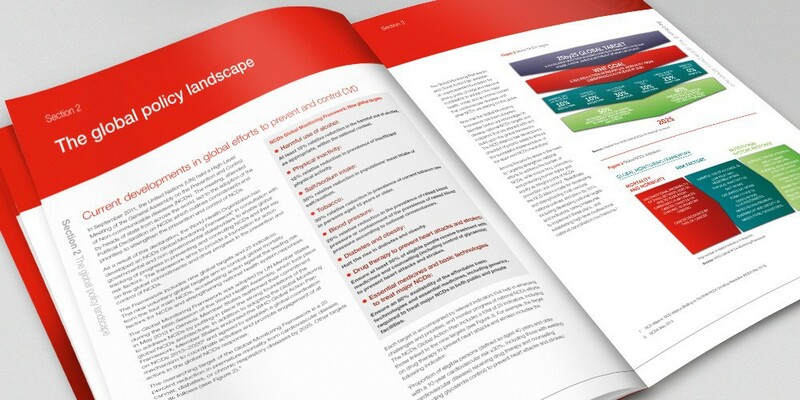 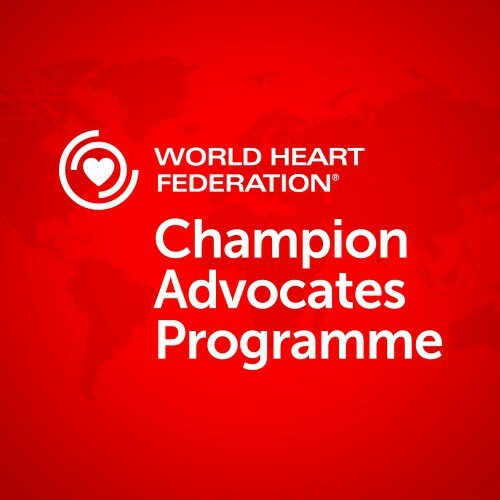 The 25x25 Champion Advocates Programme is a major campaign for WHF, as advocates influence the healthcare agenda of governments around the world to reduce the burden of cardiovascular disease. 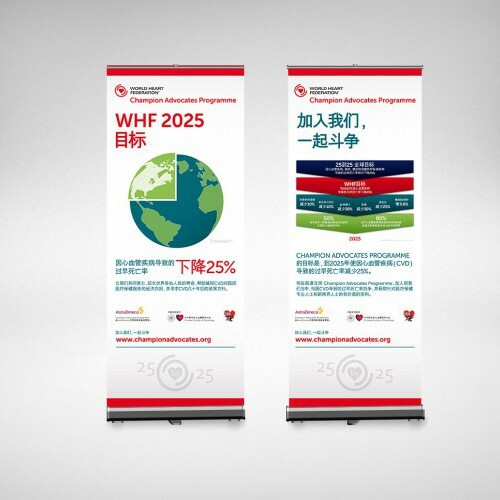 We have created a distinct brand style for the campaign that sits within the existing World Heart Federation brand guidelines and has effectively been applied to both online, offline and exhibition environments.